But take one out and that I will become. 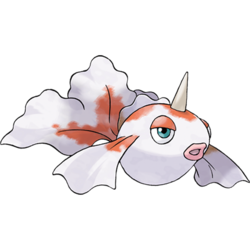 You are a red fish, which is also your Pokédex color. You are a gold$\!$fish Pokémon. You are unevolved and certainly not the greatest Pokémon, even in your own family. Golden can refer to the greatest days or opportunities. The tyo riddle itself is just a "crimson fish" or red herring thus the title "A crimson fish tyo".